Exactly what does it mean to be holy? To be holy is to be separated, set apart, sanctified, and dedicated to the glory of God. In the Old Testament the animals that were to be sacrificed and the vessels that were to be used were separated and set apart for the service of God in the Temple. Then you shall take the anointing oil and anoint the tabernacle and all that is in it, and consecrate it and all its furniture; and it shall be holy (declared sacred, separated from secular use). You shall consecrate yourselves therefore, and be holy; for I am the Lord your God. In a similar manner, as believers we separate ourselves and make a commitment to be holy in our conduct and manner of living, in everything we do. We are to live our lives in holiness that we might be pleasing unto God who commands that we be holy. Because of the weakness of your human nature, I am using the illustration of slavery to help you understand all this. Previously, you let yourselves be slaves to impurity and lawlessness, which led ever deeper into sin. Now you must give yourselves to be slaves to righteous living so that you will become holy (New Living Translation). As followers of the Lord Jesus Christ, we endeavor to follow the way of wisdom and pursue the path of holiness. We seek to please God, and God is pleased when we strive to live in holiness, separating ourselves from evil, from the uncleanliness that infects the world. We are reminded of our desire to be vessels that are set apart for the glory of God. But in a great house there are not only vessels of gold and of silver, but also of wood and of earth; and some to honor, and some to dishonor. If a man therefore purge himself from these, he shall be a vessel unto honor, sanctified, and meet for the master’s use, and prepared unto every good work (2 Timothy 2:20-21). 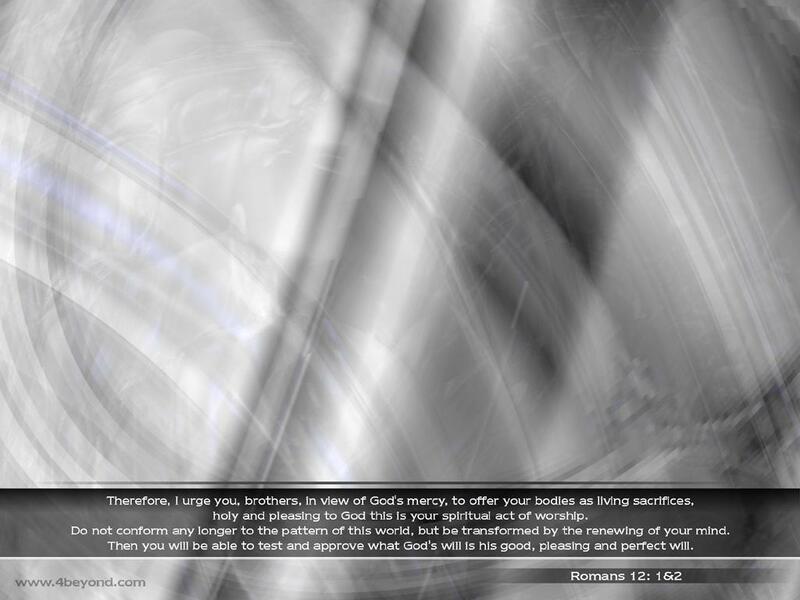 Verse 2 of Romans 12 relates to renewing the mind, whereby an individual transforms himself or herself. Romans 12:2 brings to mind the process of metamorphosis that butterflies and other organisms undergo, reminding us of a similar spiritual process called “renewing the mind.” Christians are instructed not to be conformed but to be transformed by the renewing of their minds (Romans 12:1). 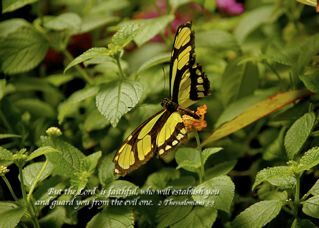 The New Testament phrase is translated from the Greek word metamorphoo, from which the English word metamorphosis is derived. The phrase is also used to express that as believers strive to manifest more of Christ in their lives, they are also “changed” into the same image. 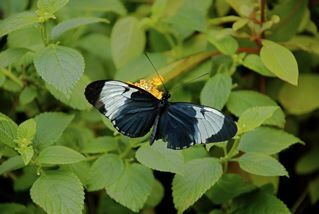 Butterflies as they undergo metamorphosis are transformed from egg to larva or caterpillar to chrysalis (cocoon) to butterfly (adult). Christian believers also continually undergo a similar spiritual transformation as they mature in Christ. All of this can be viewed as a conscious effort to be holy, as the Verse of the Day commands us. Got to serve somebody: Whom will you serve? But if you refuse to serve the Lord, then choose today whom you will serve. Would you prefer the gods your ancestors served beyond the Euphrates? Or will it be the gods of the Amorites in whose land you now live? But as for me and my house, we will serve the Lord. The King James Version of Joshua 24:15 asks questions as to whom the Children of Israel will serve. In actuality, Joshua is asking whom will they worship, for to serve is to worship, and to worship is to serve. A recent Verse of the Day focused on Romans 12:1, which speaks of offering our bodies as “a living sacrifice,” which is our reasonable service, or as the Amplified Bible puts it: “which is your reasonable (rational, intelligent) service and spiritual worship.” Indeed, service = worship. To follow the path that leads to life or the way of death. And follow the path of life each day that we draw breath. As we determine whether we diminish or enhance. Only when we give in love do we begin to live. God’s Word encourages us to be transformed, to change. As butterflies emerge in beauty, our lives unfold. From death to life, beauty for ashes God will exchange. For those who walk uprightly, nothing good will He withhold. 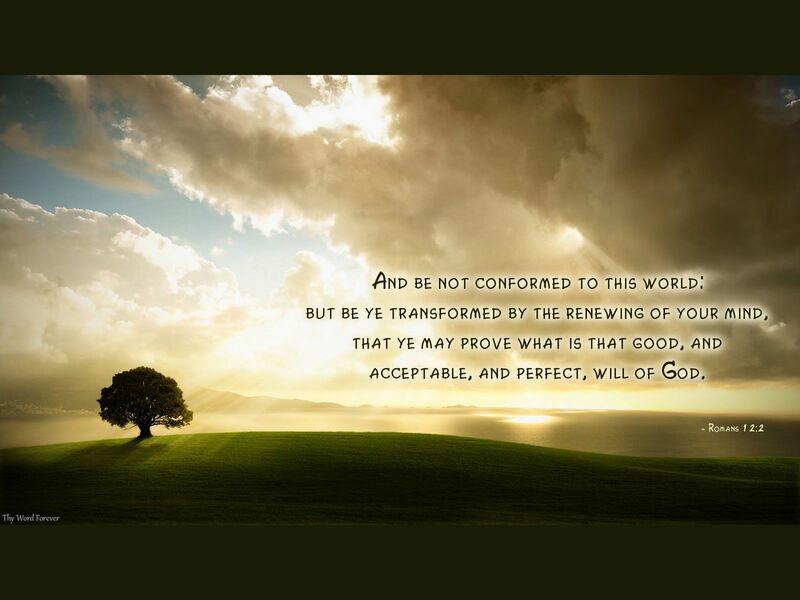 Not to be conformed but transformed by the changes we make.